LG, Kenmore and GE are the best overall, high-capacity and inexpensive electric dryers, respectively. Maytag and Amana come out on top in the gas dryer category. But if those don't work for you, no worries, we found a number of top-performing dryers -- and name a washer to match -- for any size family or budget. Specs that Matter Capacity - 7.4 cu. ft. Cycles - 12 Size (w,d,h) - 27" x 29.34" x 42.25"
The LG DLEY1701V is a great dryer at a price that also makes it a great value, experts say. Its 7.4 cubic-foot capacity is big enough for all but the fluffiest king comforters, and it's fully-featured, including steam clean technology, a drying rack and 12 drying programs -- including one you can customize. This model comes in white, but is also available in graphite steel as the LG DLEX3570V (Est. $1,100). Gas versions are also available. Specs that Matter Capacity - 9.2 cu. ft. 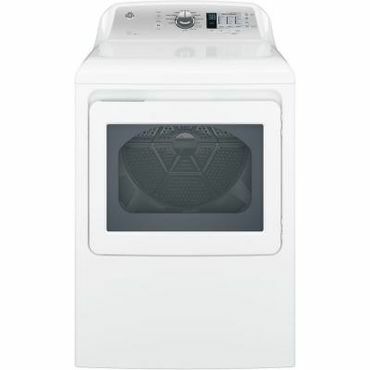 Cycles - 7 Size (w,d,h) - 29" x 33.5" x 43.5"
If you are doing the laundry for a very large family or a very small village, check out the 9.2 cubic-foot Kenmore Elite 61633. Its sensors are reported to work very well, so that it effectively dries -- without over-drying -- very large loads. It also includes a drying rack for even more versatility and a popular steam option. 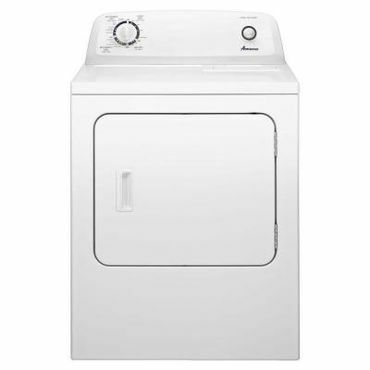 This dryer comes in a metallic finish, but is also available in white as the Kenmore Elite 61632 (Est. $1,420) and in gas versions. Specs that Matter Capacity - 7.4 cu. ft. 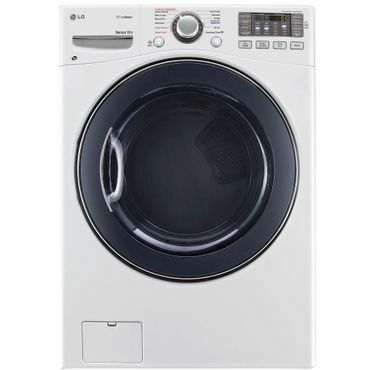 Cycles - 12 Size (w,d,h) - 27" x 30.5" x 44"
In professional tests, the GE GTD65EBSJWS earns very good ratings for drying performance, which is really all you need in a dryer, experts say. The 7.4 cubic-foot capacity is plenty for all but the largest items, and it's reported as quiet and sturdy when in use. It also includes a few handy settings, including extended tumble (to keep wrinkles at bay) and a user-customizable My Cycle option. This dryer is white, it also comes in gray and a gas version is available. Specs that Matter Capacity - 8.8 cu. ft. Cycles - 10 Size (w,d,h) - 29" x 32.25" x 43"
Experts and owners give plenty of "bravos" to the 8.8 cubic-foot Maytag MGDB855DW. It's plenty big enough for almost any family, even handling large comforters, and has plenty of features, including 10 pre-programmed dry cycles and five temperature settings and dryness levels. But what really impresses reviewers is the absolute accuracy of the sensors -- every load comes out dry, but not over-dried. 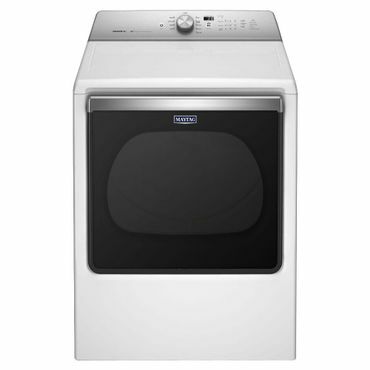 This is white, but it also comes in chrome shadow as the Maytag MGDB835DC (Est. $1,100), and there is an electric option as well. Specs that Matter Capacity - 6.5 cu. ft. Cycles - 11 Size (w,d,h) - 29" x 27.75" x 43.38"
Owners of the Amana NGD4655EW make it one of the highest-rated gas dryers we saw. Thousands of happy reviewers say it's fast, efficient and easy to use. It looks very basic, but also does a great job of drying clothes without over-drying them. The sensors are reported as quite accurate, and there are 11 pre-programmed drying cycles so you can just toss your clothes in and walk away or tweak your laundry to your heart's content. In general, buying a clothes dryer is much simpler than buying a washer; they're less complex and there are usually fewer options available. Since the washer is the more difficult decision, consider starting your research in our washing machines report (assuming you need both of these laundry appliances, of course). Several of the top-rated washers we identify there have matching dryers that are also well regarded. We discuss dryer options for most of our Best Reviewed washing machines in this report. However, if you don't need both, or if getting a matched set doesn't fit into your budget, experts say that all a clothes dryer really needs to do is dry your clothes, without wearing them out too quickly. You can get a decent, basic clothes dryer for $500, sometimes even less during sales, or pay more than $1,000. The most basic clothes dryers usually offer enough features for most people, while higher-priced models may have additional drying cycles, steam options, and at least two exterior color options. When it comes to choosing a clothes dryer, you have two choices: gas or electric. 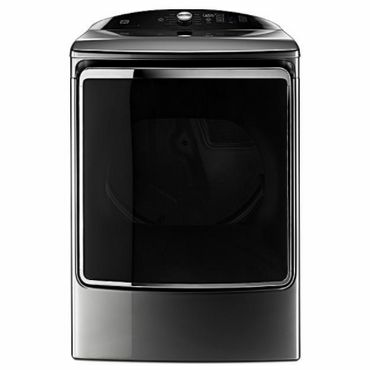 Electric clothes dryers, which require a 240-volt wall outlet, are slightly less expensive than comparable gas dryers. However, since gas rates are generally lower than electric rates, gas dryers are much cheaper to operate. Consumer Reports notes that over their expected lifetime, the savings in energy costs with a gas dryer will probably make up for the difference in purchase price. Despite this, Energy Star says that about 80 percent of clothes dryers sold today are electric. That tracks with our own research and we found far fewer user or professional reviews for gas dryers. Tests show little difference in performance between gas and electric versions of the same dryer -- Consumer Reports no longer even tests gas dryers, noting that "…gas versions [of the tested electric dryers] appear in our Ratings because we expect them to perform comparably." In view of that conclusion, we include the corresponding gas dryer (or electric dryer in the gas category) for each model covered in our report. When it comes to washing machines, prices are all over the place. And, at some retail sites, you can't even see the price until you add it to your cart. For that reason, we are quoting the manufacturer's suggested retail price in this report, even though they are almost always found on sale for at least several hundred dollars less. For that reason, we are quoting the manufacturer's suggested retail price in this report, even though they are almost always found on sale for at least several hundred dollars less. For example, one of the priciest dryers in this report -- the Kenmore Elite 61633 that is our Best Reviewed high capacity dryer -- retails for $1,530, but when we were compiling this report it was on sale for $1,200. In other words -- don't be put off by a seemingly "high" price, that's more than likely not even close to what you'll pay. What are your other laundry room needs? While this report covers full-sized clothes dryers meant to pair up with a full-sized washing machine, your laundry room may be too small for that combination -- especially if you live in an apartment or condo. If that's your situation, we cover laundry centers -- models that combine a washer and dryer in one unit -- in our report on washer-dryer combos. Also, to press out the last of the wrinkles in your dress clothes, or to just put the finish on your look, check out our reports on steam irons and garment steamers. We found current and credible professional reviews for all types of clothes dryers at Reviewed and Consumer Reports, as well as reviews for some individual machines at a few other sites. All of these sources do thorough, well-explained testing, and often come to the same conclusions, ratings-wise, for the same machines. Owner-written reviews are just as useful for finding the best dryers, especially when it comes to gauging long-term durability and the manufacturer's response to complaints and warranty issues, considerations that aren't measured in professional tests. We found the best user reviews for dryers at retailer sites such as Home Depot, Best Buy, and Lowe's. Occasionally, you see some reviews at these sites that originate elsewhere, notably the manufacturers' sites. However, we took the existence of these duplicate reviews into consideration to find those clothes dryers that score best with owners. Adequate drying cycles and options.